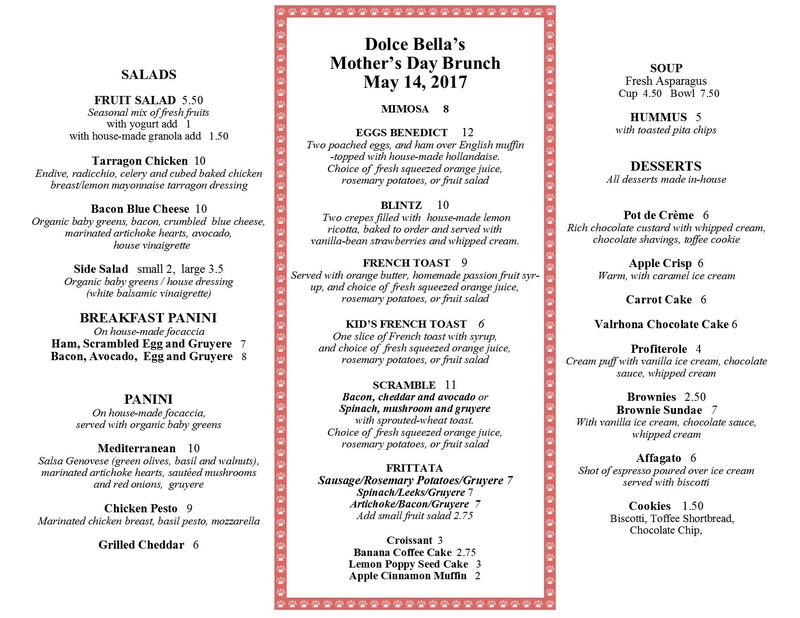 We invite you to bring the moms in your life to Dolce Bella’s Mother’s Day Brunch, Sunday May 14th, 9 to 3pm. Call us at (408) 446-4296 to reserve your table. So we can best serve our brunch guests, there will be no to-go orders from the kitchen during that time. We have a well-stocked case of chocolates, chocolate heart boxes and roses for mom. Seasonal favorites are fresh chocolate mint, mimosa, and honey and thyme.Come in right away for the best selection. The cafe will close at 9pm. Please join us! Heirloom tomatoes picked today, and flaky tomato crostada with carmelized onions and gruyere, which will be on our dinner menu on August 11th. Thursday August 11th, dinner seating from 5 to 8pm, music from 6 to 8 pm. Our two (of three) rows of tomatoes when planted early April and on July 17th. The first pick today: for our pasta dish tomorrow night. We should be full swing with BLTs by next week. 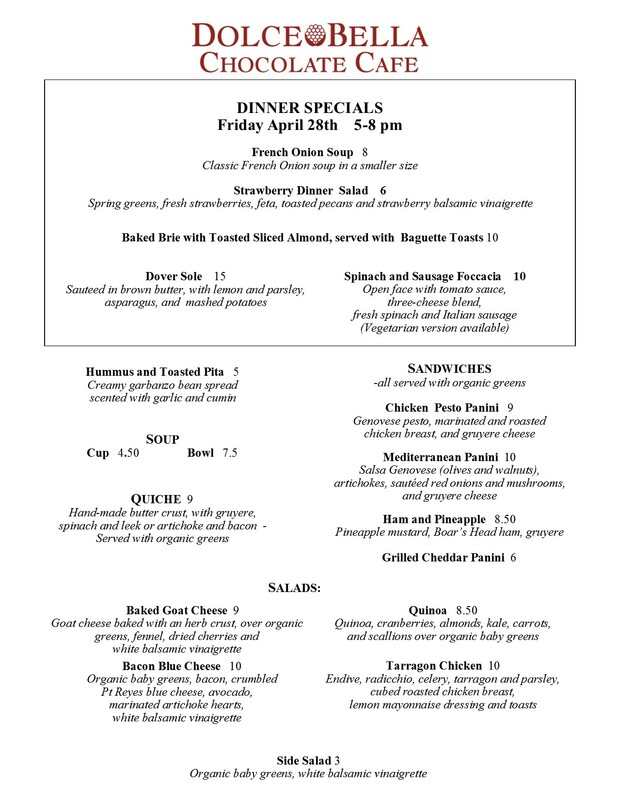 Bring the dad’s in your life for our terrific brunch menu plus BBQ tri tip or sausage sandwiches. Click on the pull down menu above to see the menu. The cafe will be open our regular Sunday hours of 9am to 6pm. We’re well stocked with chocolates for your Father’s Day gifts.